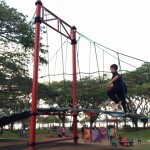 Pasir Ris Park | JustRunLah! 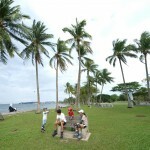 Family-friendly recreational coastal park in the East of Singapore. 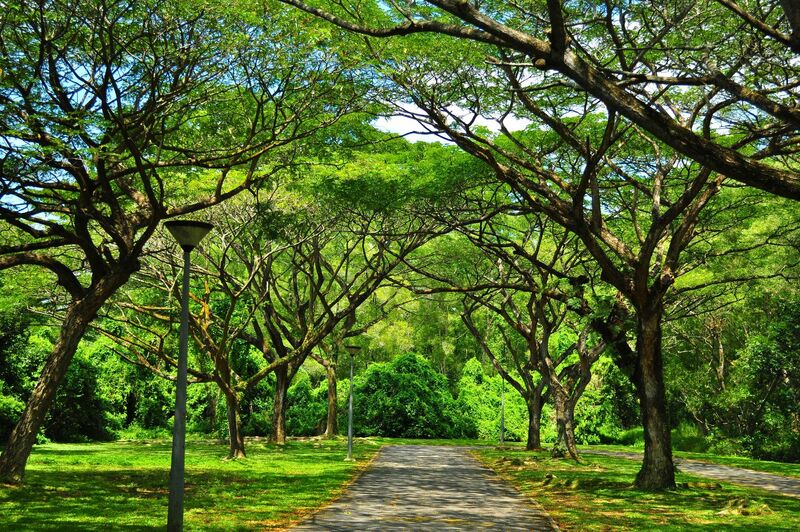 The second largest park in Singapore, National Parks Singapore has zoned Pasir Ris Park into 4 separate zones across 3 distinct sections, subdivided by Sungei Api-Api and Sungei Tampines. 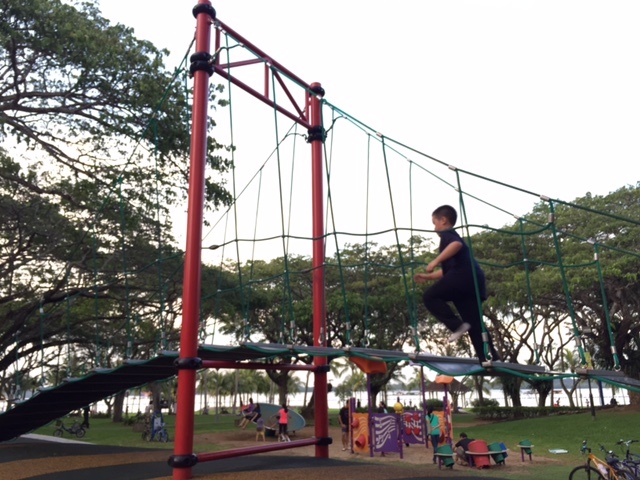 With camping grounds, chalets, barbecue pits, picnic tables, several restaurants and theme parks in the vicinity, it rivals East Coast Park as a recreational coastal park to spend a weekend or the school holidays. 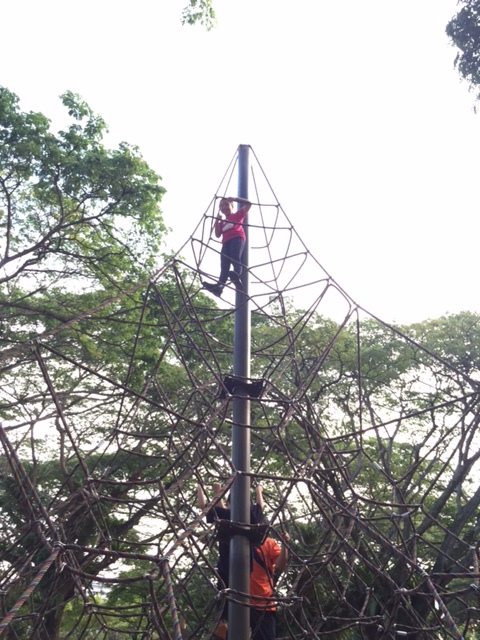 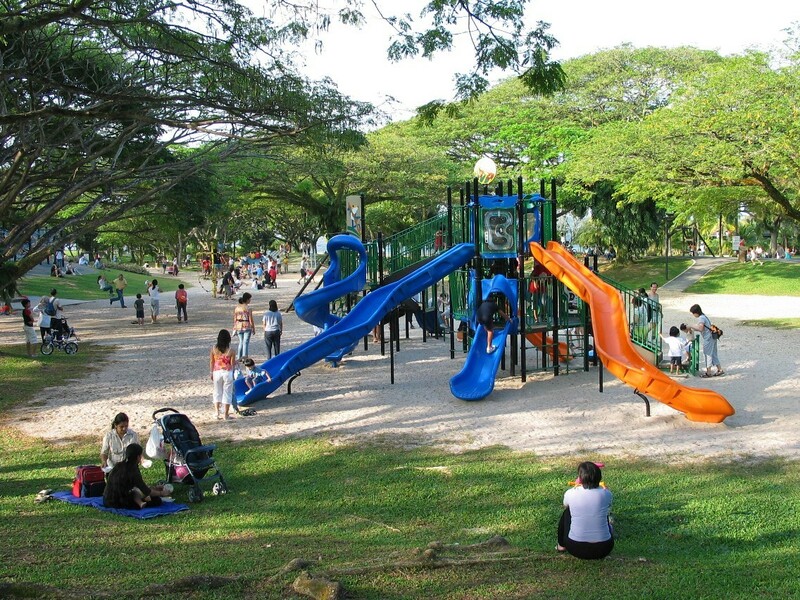 Pasir Ris Park is 100% family-friendly. 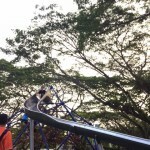 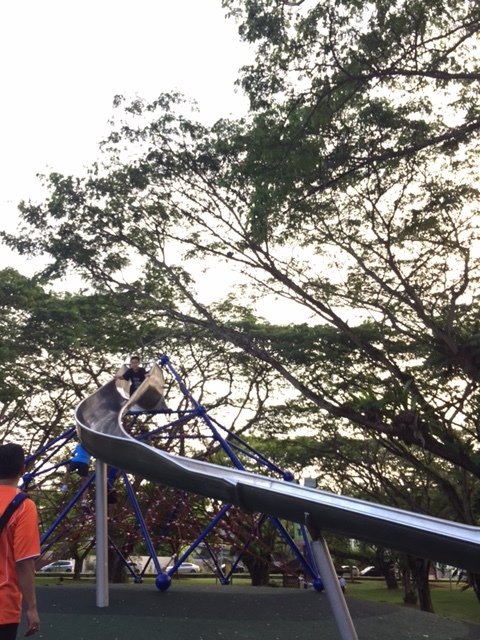 Kids will easily enjoy hours of fun at one of Singapore’s largest playgrounds boasting slides, spacenets, cableways, rope-climbing and swings. 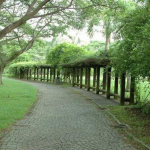 Children will also love interacting with the horses at the Gallop Stables, which offers pony rides and riding lessons. 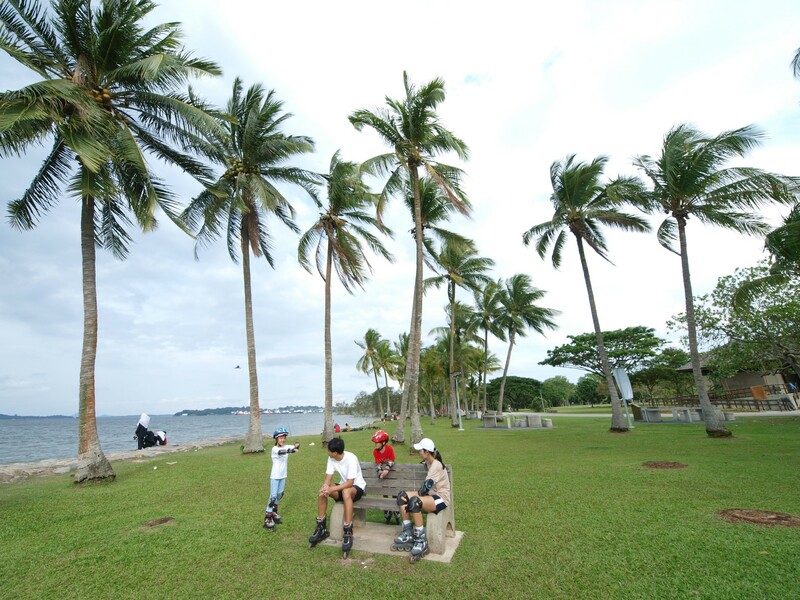 Popular leisure activities include bird-watching and photography, while watersports activities like sailing and kayaking are offered by the People’s Association Water Venture. 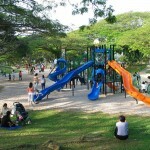 Other popular sports at Pasir Ris Park include basketball, in-line skating, cycling (bike rentals are available), and of course, running. 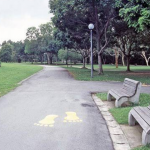 The coastal stretch across the 4 zones measures about 3.4km, but you can easily extend the distance into a medium or long run just by meandering around the tracks within the park itself, or even venturing over to the adjacent Pasir Ris Town Park. 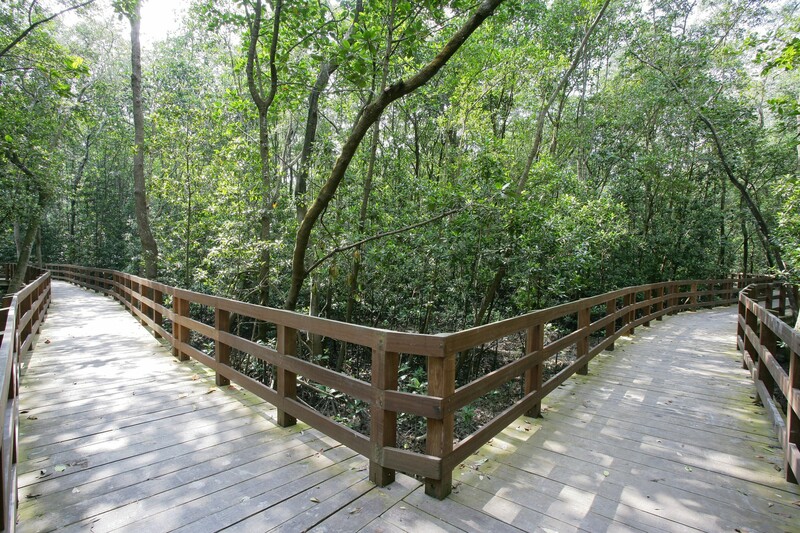 Experience running close to nature on the multiple trails and through the 6-hectare mangrove forest along the Mangrove Boardwalk. 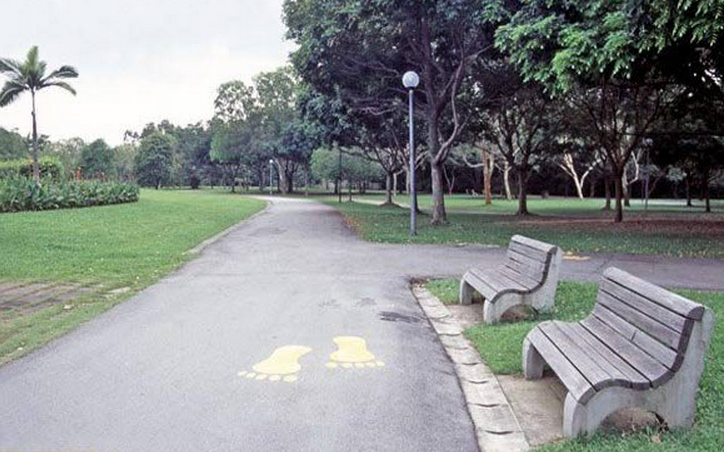 Pasir Ris Park will be playing host to the upcoming Mileage Fathers’ Day Run 2015. 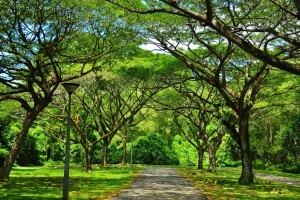 – Tampines Park Connector: Leads past Pasir Ris Town Park up to TPE, and Sun Plaza Park in Tampines. 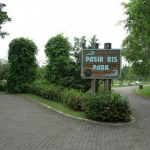 – Pasir Ris Park Connector: Joins up with Loyang Park Connector, leading to Changi Beach Park, and Tampines Loyang Park Connector, leading through Tampines. 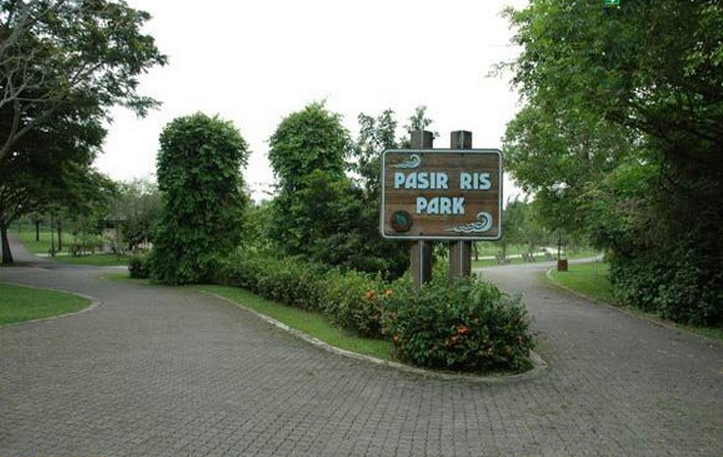 Plenty of parking is available, with six car parks servicing Pasir Ris Park. 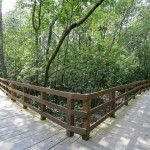 Water coolers are situated at restroom facilities. 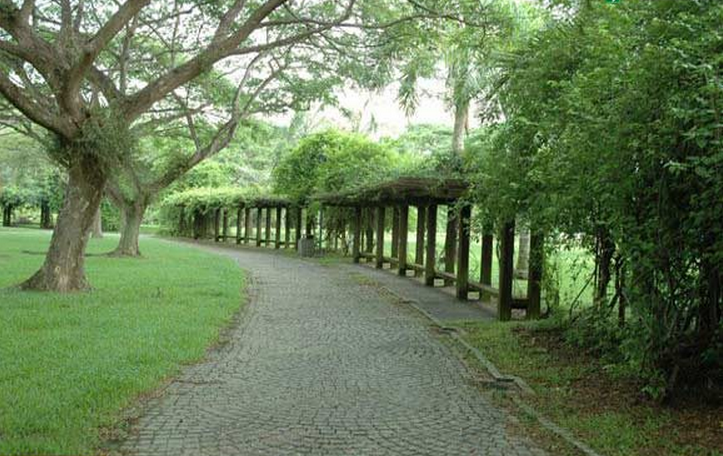 Shower facilities are available at the western section of the park, where the largest extent of Pasir Ris beach is.